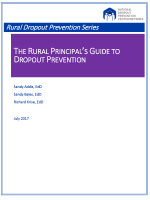 Many of these resources were developed by the National Dropout Prevention Center (NDPC), the American Institute for Research (AIR), and the Manhattan Strategy Group (MSG) for the US Department of Education to support the High School Graduation Initiative’s (HSGI) Rural Dropout Prevention Project (Contract No. ED-ESE-13-C-0069). The video products were developed by NDPC/N, AIR, and MSG in partnership with Clemson Broadcast Productions at Clemson University. Harmon, H., & Smink, J. (2017). 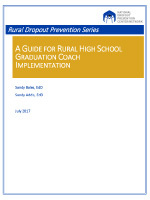 This guidebook provides a wealth of information on designing and implementing a successful dropout prevention initiative in a rural school environment. 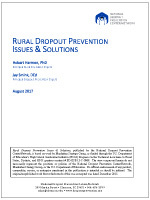 In addition to the evidence-based research noted in the publication, it offers suggestions and ideas drawn from practitioner-based experiences found in rural schools across America. Addis, S., Bales, S., & Krise, R. (2017). 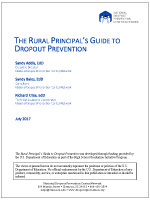 This guidebook identifies key dropout prevention practices, such as early identification of at-risk students, policy and procedure analysis, community engagement, social isolation, and grade transition, taking into account the multiple duties and limited resources typically experienced by rural principals. Bales, S., & Addis, S. (2017). 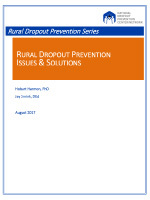 This instrument addresses the challenge of finding, reenrolling, and reengaging dropouts in rural communities. 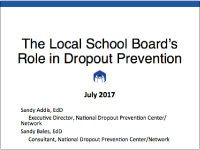 Educators often need to evaluate and improve these programs but lack resources for external evaluation and technical assistance. 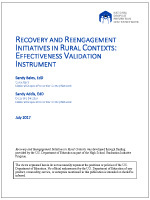 The resource adapts research-based recovery program criteria to the rural context and yields a rating of the local program that can then be used to focus change efforts. 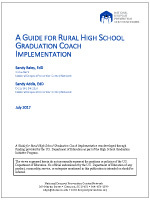 This guide addresses building support for a graduation coach program, funding the initiative, selecting the right personnel, and developing the job description(s). It also includes a readiness assessment, task checklists, and budget planning worksheets. This presentation offers school district superintendents or others a guided resource that can be edited to include local data and information. 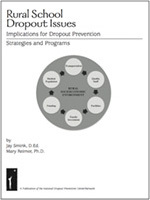 This resource serves as a prompt for discussion of dropout rates by school board members. The presentation is available in standard screen and widescreen, and a hard copy print of the facilitator’s guide is available from the NDPC/N Store. Notes under each slide in the presentation can also serve as a facilitator’s guide.